it just kept on popping up “Data Unavailable.” Where did the data go? This just happened to me and i almost drowned my phone because i have some books i’m reading on Okadabooks… And i haven’t finished them. And i don’t want to start again. And i don’t want to buy the book again because i bought them before. 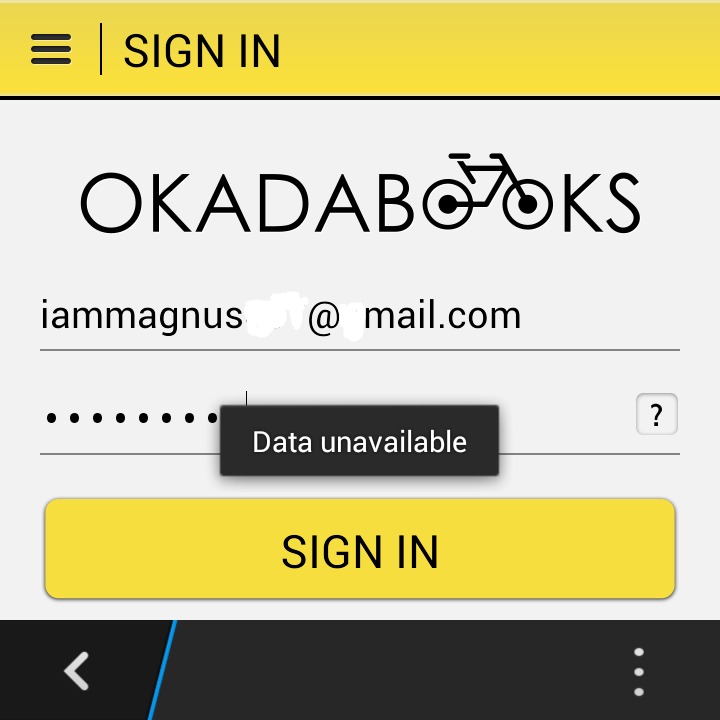 This tutorial will teach you how to not suspect OkadaBooks for your loss or delete some precious videos because your OkadaBooks App pops up “Data Unavailable” when you’re about to login. weather blackberry or Android, it is not the app’s fault and i’ll share some tips on how to fix it… for life. Step 3: Free some space in your phone’s memory drive (card or storage) you could also consider removing or moving some files in the phone’s memory. (This is what happened to mine… Too many movies in the phone, they were even boring!) you could move those your large-sized downloaded files to a desktop, laptop, legtop or a friend’s phone. He’d be glad. Step 5: Did you turn it off? It should work now. I freed 1.5 gb from my 8gb memory card and i think i still have 1gb free on my 4gb phone’s memory. If problem persists, check if your antivirus is not keeping the app hostage in its “blocked apps” or quarantine folder… wait, problems can’t persist….and you could still drown the phone and buy a new Android or Blackberry that runs Android apps.